On December 9th, we exhibited at Waters USA at the New York Marriot Marquis. There was a great flow of traffic to our stand and we enjoyed meeting lots of new people and seeing some familiar faces amongst the crowd. Caplin CTO Patrick Myles joined the panel "Agile single-dealer platforms as a business enabler" along with Joe Wood (Credit Suisse) and Alexander Nacht (JP Morgan). The panel, moderated by Vishal Sood of Citi, focus on the trends in building single-dealer platforms, the adoption of HTML5 and other potential technologies for next year, the benefits of single-dealer platforms over multi-dealer platforms for capturing profit. When faced with the "buy or build" question, all panelists supported outsourcing builds. 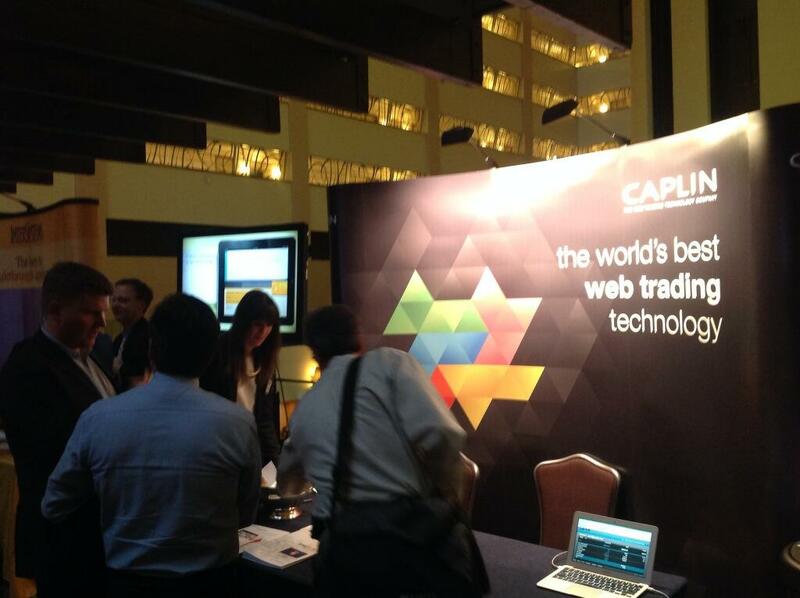 Waters USA marked the end of Caplin's 2013 trade show scheule, where we attended and sponsored 14 industry events across the Americas, EMEA and AsiaPac.